Twelve artists are creating an exhibition of new sculptural work in a beautiful part of the National Forest and invite you to get creative in a series of free drop in workshops. 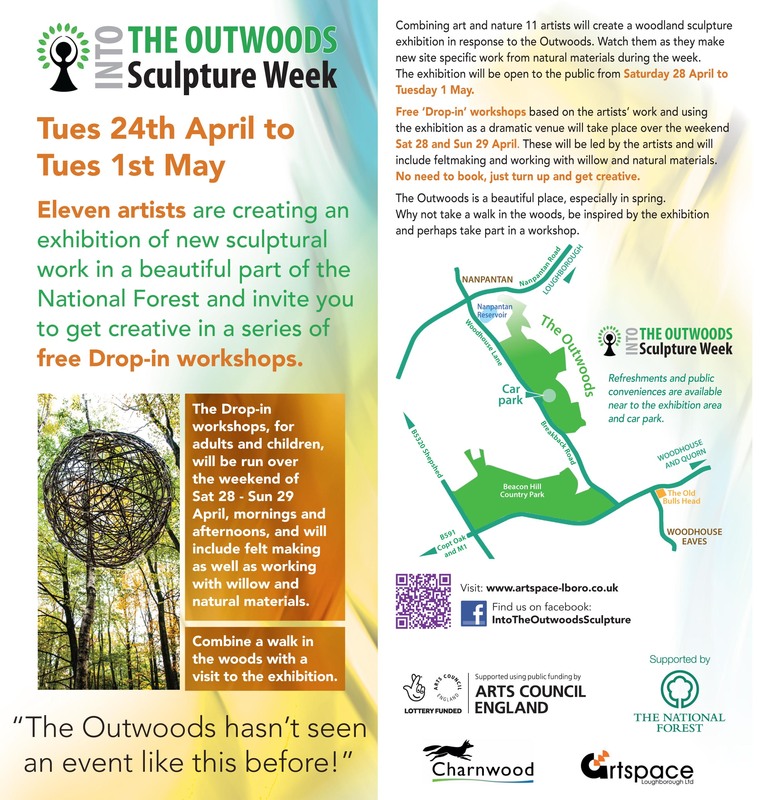 The artists will combine art and nature to create a woodland sculpture exhibition in direct response to the outwoods. Watch them as they make new site specific work from natural materials. The finished exhibition will be open to the public from Saturday April 28 to Tuesday May 1. Free ‘drop-in’ workshops based on the artists’ work and using the exhibition as a dramatic venue will take place over the weekend Sat 28 and Sun 29 April. These will be led by the artists and will include feltmaking and working with willow and natural materials. No need to book, just turn up and get creative. The Outwoods is a beautiful place, especially in spring. Why not take a walk in the woods, be inspired by the exhibition and perhaps take part in a workshop.